The movie list game with Ian Sales continues. I have been challenged to come up with five movies to complement his Apollo Quartet, as the concluding volume of that series, “All That Outer Space Allows,” hit stores in late April. The following list of 5 is my attempt to come up with a few good films that fit the bill. Since the Apollo Quartet is, in part, science-oriented science fiction, I’ve used that general rubric to select the films below. All of the films on this list will in some way deal with science, time, and/or outer space. It must be a feature length film. Ian and I may branch out to television in later lists. Here, I’m sticking to the big screen. Ian did not set any genre limitations, which will explain why one of the following films is not science fiction. I may be one of the few people who loves this movie to death. 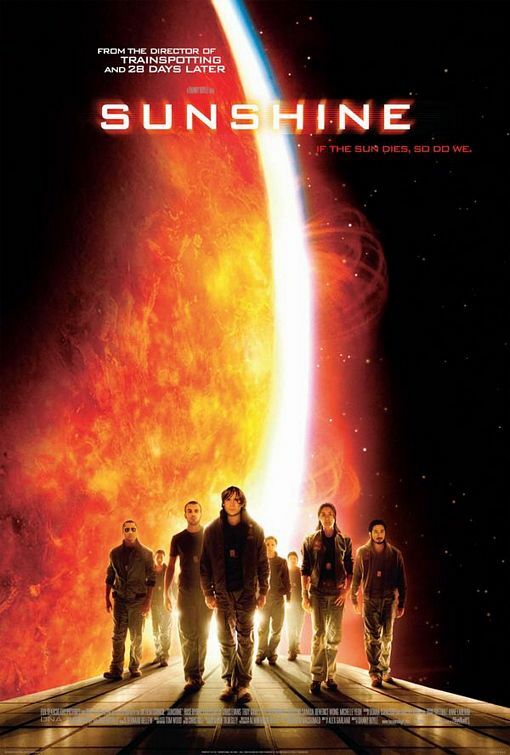 From the gorgeous visuals to the film score to the sometimes melodramatic philosophizing about the human relation to the sun (and madness), Sunshine is one of those rare films that is everything I love about serious science fiction. It also happens to be, at heart, an optimistic film, pitting a ragtag group of scientists against insurmountable, almost cosmically apocalyptic odds. And their success is a matter of human ingenuity and scientific wonder. You’d think this one would have been obvious given that it shares a word with Sales’ novella series. 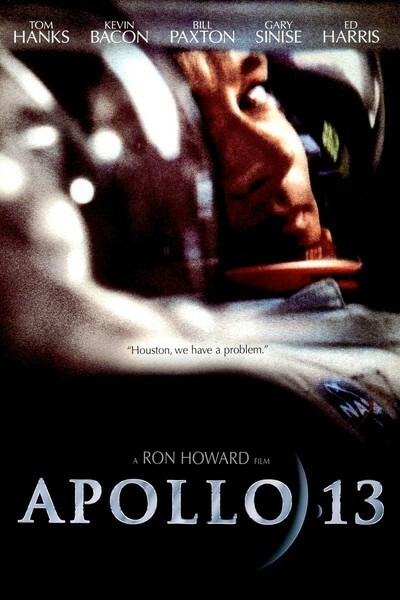 However, I didn’t pick Apollo 13 for that reason. Rather, I picked this movie because it’s not only an exceptional drama about an actual space mission to the moon, but also because it is another film about human resourcefulness. Additionally, I also appreciate the direction the film takes, since Apollo 13 was literally a disaster for the space program; Ron Howard’s film shows the extent of that disaster to a certain degree, but it also presents the handling of that disaster in a positive light. It deserved its numerous Oscar nominations. 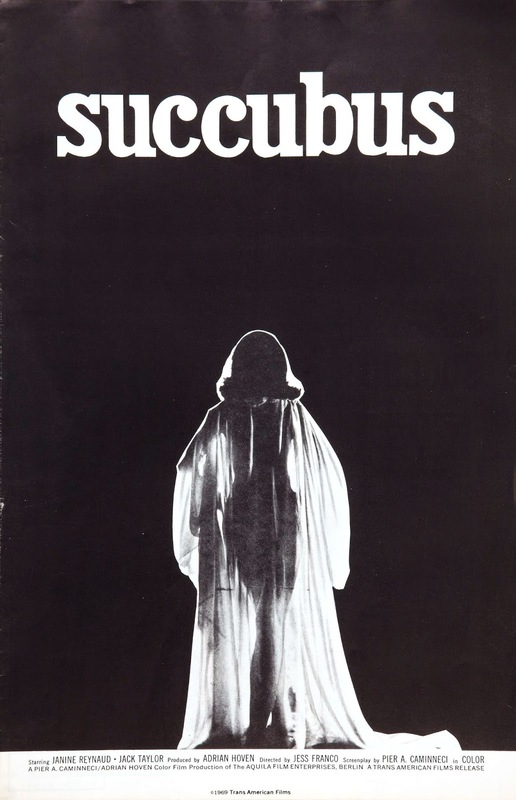 Now we get into some of the less optimistic or positive films. 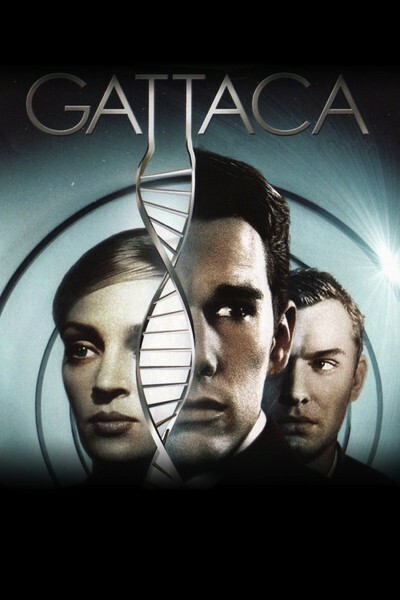 Gattaca isn’t strictly a pessimistic film; after all, Vincent does prove that genetically-imperfect people can meet, or even surpass, those with “superior” genetics. But the world in which Vincent lives is a fairly dystopian one — perfection is genetically possible, and anyone who isn’t “perfect” or deemed “at risk of serious medical issues” faces active discrimination. Still, there’s something moving about Vincent’s refusal to give in to the limitations everyone tells him he has — and, equally so, that his success results in a mission to Titan, one of Saturn’s moons. It may not be a particularly realistic space journey (why would we send people to Titan? ), but like some of the other films on this list, it is a positive view of future space travel. Much like Gravity, Moon isn’t exactly positive about the future of human space travel. The protagonist, Sam, works for an Earth-based company and is the sole attendant on a Moon-based helium-3 mining facility. That all goes haywire when he discovers that he is one of a long string of clones and that the messages he receives from home are recordings. It’s a disheartening tale of corporate greed and the ethics of cloning. 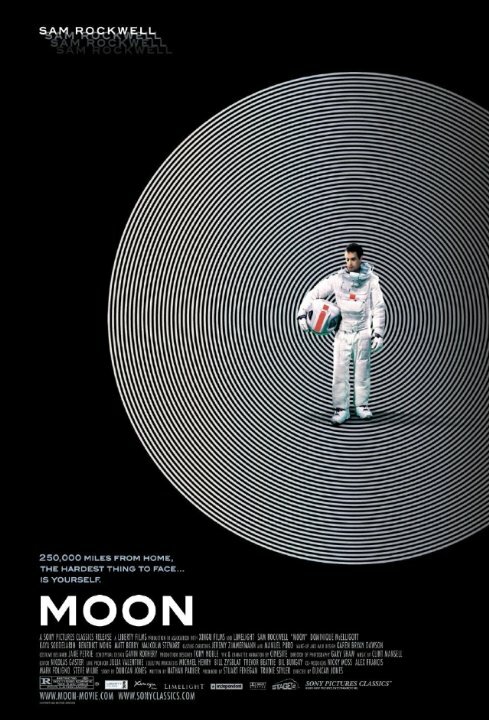 Moon also happens to be one of the most compelling low-budget science fiction films of the last 20 years. Much of that is due to Sam Rockwell’s performance, which is probably one of the best of his entire career. I’ve discussed Silent Running before. It is a flawed film about environmental disaster and the inhumanity of a processed future. Still, Lowell’s melodramatic rants about the value of the human connection to the natural environment are one of the most memorable aspects of this film. 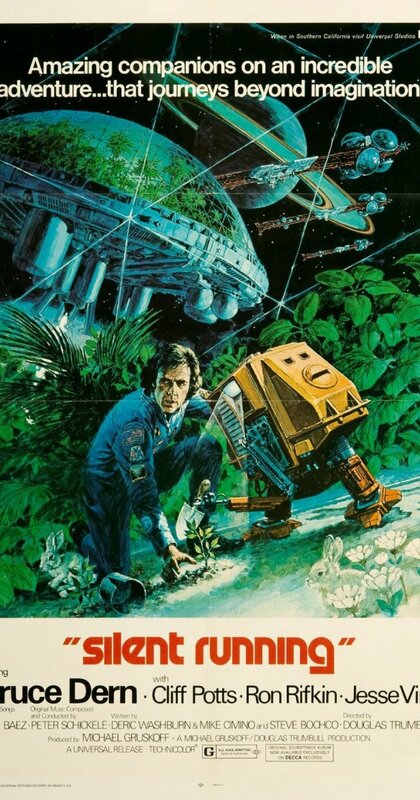 Silent Running‘s environmentalism, I think it’s fair to say, makes it particularly applicable to today, not least of all because it is about what happens when we neglect or forget the importance of the environment while also exploring how human and machine can create a symbiotic relationship with that environment. It’s for that reason that I place Silent Running on this list. I also strongly considered including Source Code (2011; dir. Duncan Jones) and Contact (1997; dir. Robert Zemeckis). The former was dropped because it has nothing to do with “space,” and the latter was dropped because the other films on this list deal with space travel in a more direct manner. However, you could think of these as honorable mentions that should accompany the Apollo Quartet anyway. Ian, I challenge you to come up with a list of 5 science fiction films which are basically fantasies in space, but which are not Star Wars. They should also be, in your opinion and by your own criteria, good movies.